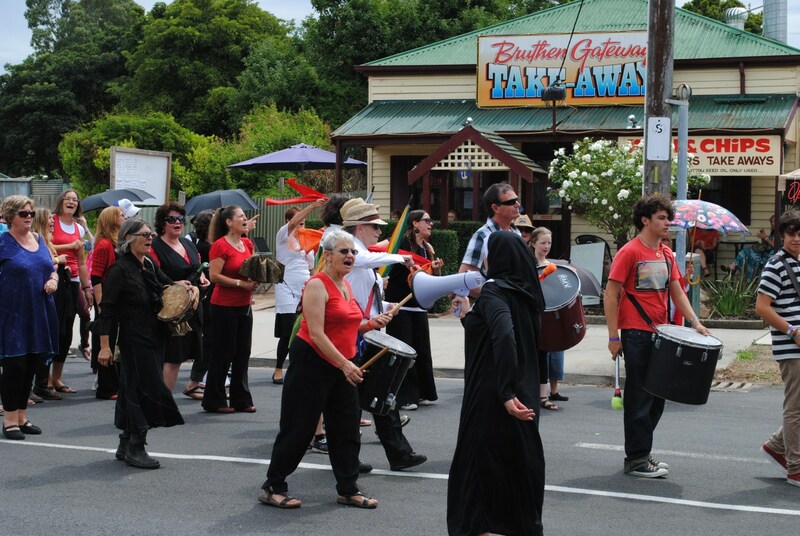 Bruthen is a small town located alongside the Tambo River between Bairnsdale and Ensay on the Great Alpine Road in East Gippsland, Victoria. 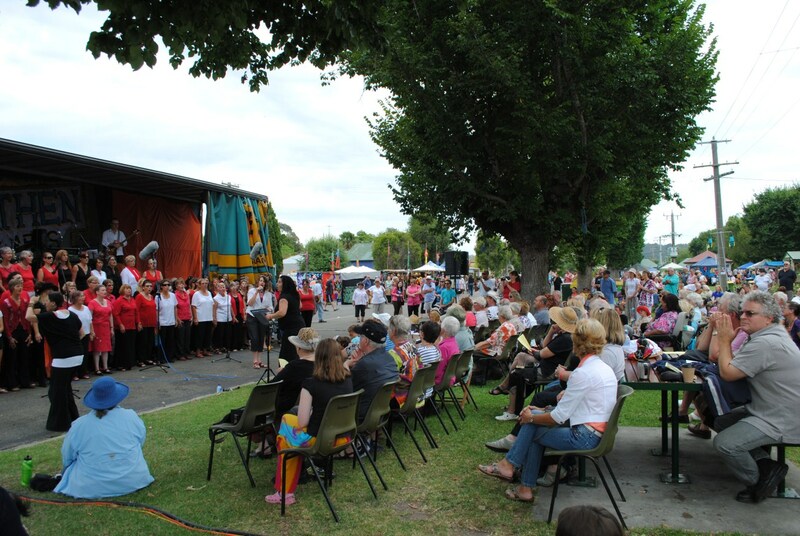 The Bruthen community holds a number of activities throughout the year. 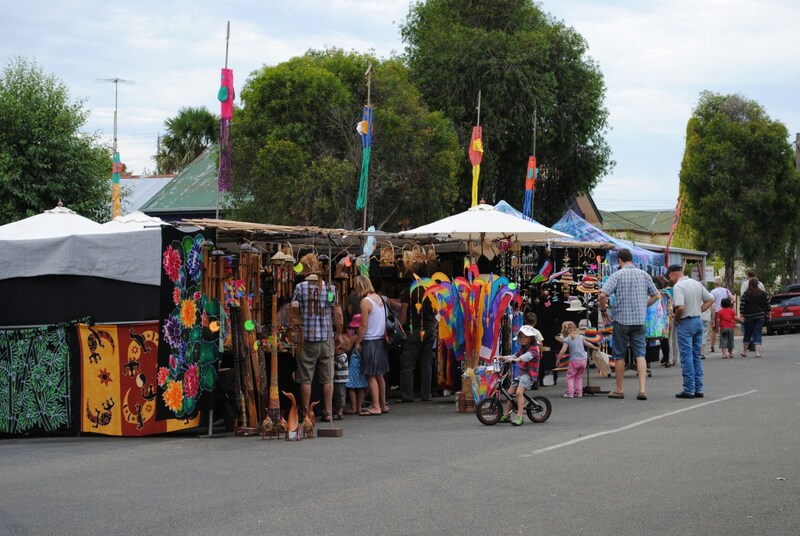 These include the "Mixed Bag" art exhibition, the Bruthen Village Markets (every 4th Saturday of the month), annual Parish dance, and the Bruthen Blues & Arts Festival on the 3rd weekend of February each year. The 96 km East Gippsland rail trail, which runs from Bairnsdale to Orbost, passes through Bruthen, providing an excellent facility for cycling, walking and horse-riding. Bruthen features an attractive commercial centre, consisting of a number of speciality shops, a general store (built in 1860) and the historic post office (built in 1890). Shady gardens with a rotunda and picnic areas are situated beside the town's main street. The Tambo River is located just to the south of town and it makes its journey into the Gippsland Lakes system via Swan Reach, entering Lake King north of the fishing village of Metung. In the 1840s, the first pastoralists used the Tambo Valley as a route from the Monaro to the Gippsland plains. Matthew and Thomas Macalister took up the area as Kilmorie run in 1845. By 1858, a hotel, a store and blacksmith were catering to drovers using the stock routes and packers and miners travelling north to the mining settlements around Omeo. In 1859 a township was laid out, two kilometres to the east, at the junction of the main routes. It was named Tambo as there was already a township named Bruthen between Sale and Port Albert. However, the old site at the river crossing remained the more popular location. When Land Acts made selection possible in the 1860s, the Tambo Valley was quickly taken up by settlers. On the fertile river flats, wheat, oats and potatoes were grown and by the 1880s maize and hops had become important crops. Sheep and cattle were grazed on the foothills. Many settlers stripped wattle bark and split rails to supplement their living. 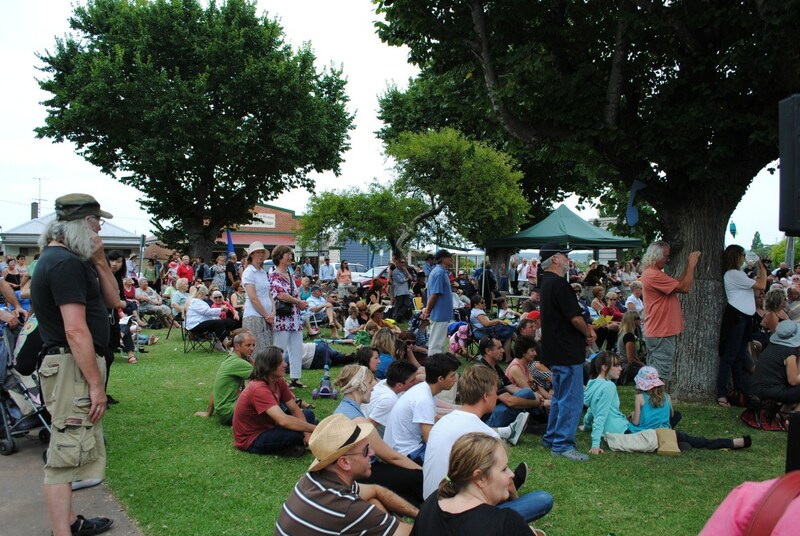 Bruthen Blues and Arts Festival, 3rd weekend in February each year.